all the splendid new features of the School. atmosphere exhibited by every group of students that we caught sight of. from teachers of our acquaintance. I really did enjoy meeting you. Thank you for the prompt return of the photos. which brought back many (mostly) pleasant memories. 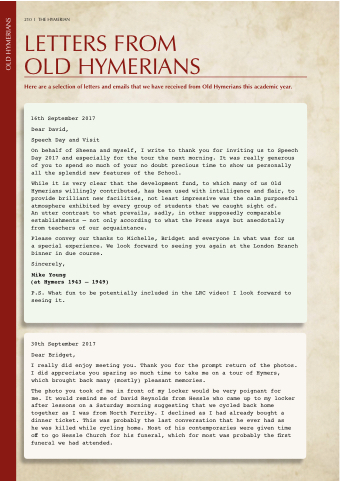 Here are a selection of letters and emails that we have received from Old Hymerians this academic year.